Have you been looking for a way to check the quality of a newly constructed building? 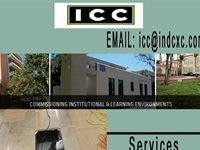 Then, hook up with Independent Commissioning Consulting, LLC for commissioning services. Through our service, we ensure that your high performance buildings and systems meet or exceed the owner's criteria.